With three books published, Suhrab Sirat, is a poet, writer and journalist. He was born in 1990, in Balkh Province of Afghanistan and moved to the UK in 2014. He has a Bachelor in Persian Language and Literature from Balkh University. His first collection of poems was published by Balkh Independent Writers Association when he was just 19. His second and third books were published by Afghan PEN, a member of International PEN. Suhrab Sirat is the first literature prize winner of the United Nation Assistance Mission in Afghanistan (UNAMA) for Women Rights 2009, and the first prize winner for Qand-e-Parsi, 2011, a prestigious literature organization in Persian speaking countries. Suhrab has also written the first lyrics for the first Afghan female rapper criticizing patriarchy and taboos. 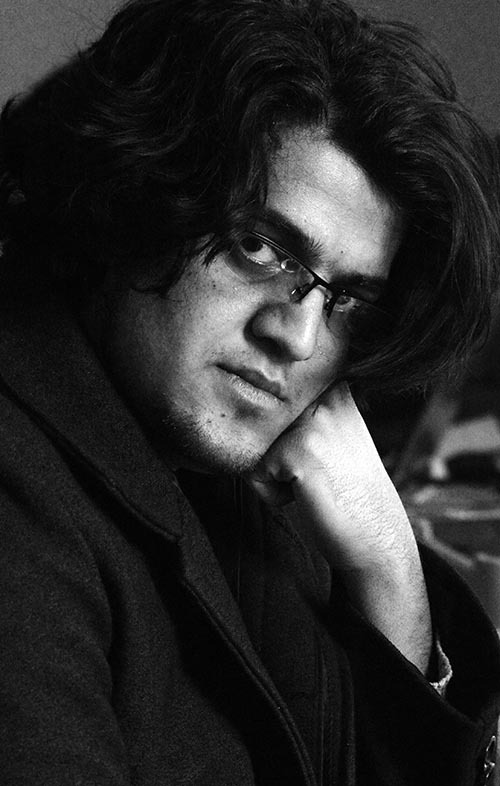 He has represented Afghanistan at the Rio International Literary Festival (FLUPP) in 2013. Apart from his activities and achievement in literature, he has extensive experience working with prominent media networks such as BBC in Afghanistan. جغرافیای سوزان… آب و هوای ویران! من،‌ قتل‌گاه بودا، من بامیانم آری! غزنی؟ نه نیستم این… این بی‌نوای ویران!